What does it really mean to be a successful college student? For some, it’s getting a high enough GPA to graduate with honors. For others, it’s showing up to every class ready to learn and apply the information given. You see, success comes in a variety of forms and can easily look different from student to student. That’s why comparing yourself and your journey to someone else’s can actually hinder your own performance. Rather than focusing on the things you want to accomplish, you measure yourself up against others in hopes of making a good impression. Now, of course you want to do well, pass your classes, and leave college feeling like you learned something, but the truth is that being a successful college student goes deeper than just making the grades or showing up to class every day. What I’m going to do is uncover those things that will not only help you be successful now, but in the future as well! Being a successful college student requires understanding how your brain works and what inspires you to take on this journey. Rather than going through the motions, it’s important to take time to reflect on what you hope to accomplish today and what is going to motivate you to get through any challenges you face. For example, if your long-term goal is to become a top executive at a business corporation, then that might be a motivating factor for you to do well in college. On the other hand, if you have no clear vision for what you want to do but are simply going to college because that seems like the next logical step, then you may find that you’re lacking motivation in some areas and struggle with certain things. This isn’t to say that you’re a bad student. Instead, I always like to say this is your brain’s way of relaying the message that it wants to have something to work toward so that it get feel energized and challenged to do new things and work in new ways. It’s hard to stay motivated to get through something when you have no direction. That doesn’t mean you need to have it all together… Even adults struggle with that! Rather, it means setting at least one solid goal that you sincerely want to achieve. I promise that if you start creating goals and direction for yourself, you’ll become a much more successful college student, and adult! Let’s face the facts – We all have bad habits that we would love to get rid of, but just don’t know quite how to. I’ve been down that road far too many times (hello procrastination) and I can tell you that as impossible as it may seem to overcome them, it really is possible. There’s an entire science behind our habits and no book does a better job of explaining it than The Power of Habit. I know you’re probably busy with studying and textbook readings, but I hope that you’ll find time at some point to fit this book into your schedule because it will seriously change the way you think, thus changing the way you act. Once you have control of your habits, you’ll be amazed at what a successful college student you can be! Consider your college years as a transition time. This is your opportunity to learn how to adult (meaning, learning all the independent living skills you’ll need to be successful on your own after graduation). With that being said, one of the biggest skills you can learn is to accept responsibility for your actions and learn to stay calm in uncomfortable situations. Friends, you wouldn’t believe the number of students I saw during my undergrad years that refused to take responsibility for their grades or performance. Rather than talking to their professors or making an effort to problem solve, they would either make some snarky comment or immediately move up the chain of command. Now, if you’re using that type of approach during your college years, what do you think the odds are of you carrying that approach into adulthood? And that’s why it’s so important to learn to accept responsibility now and get used to uncomfortable situations – because they’re going to happen. I can tell you from experience, your professors are going to respect you a lot more if you own up to your actions rather than trying to talk your way around them. In my eyes, a successful college student isn’t someone who just uses their education for their own good. Instead, they use their education to help others as well. You see, we live in a world where so many people don’t even have the opportunity to get a high school education, let alone a college one. Why do we take this for granted so much?! Now, I’m not saying that you need to go donate everything and volunteer during all of your free time, but I do want you to think about ways you can use your new skills and education to stand up for those individuals in our world who might not be able to stand up and advocate for themselves. Find a cause you care about. Reach out to someone and offer to help tutor them. Become friends with someone who is struggling to get by. Your education is a powerful thing – Use it to its fullest potential. I can’t reiterate the importance of goals enough. I’m talking goals that you have written down somewhere, not those that are just in your head. These goals you write down – I want them to be things you really want to strive for. Something like graduating college, getting a job, etc. all work just fine. The main thing here is to make sure they are realistic and attainable. Instead, create your goals and then list out at least 3-5 steps you can take to make that goal a reality. 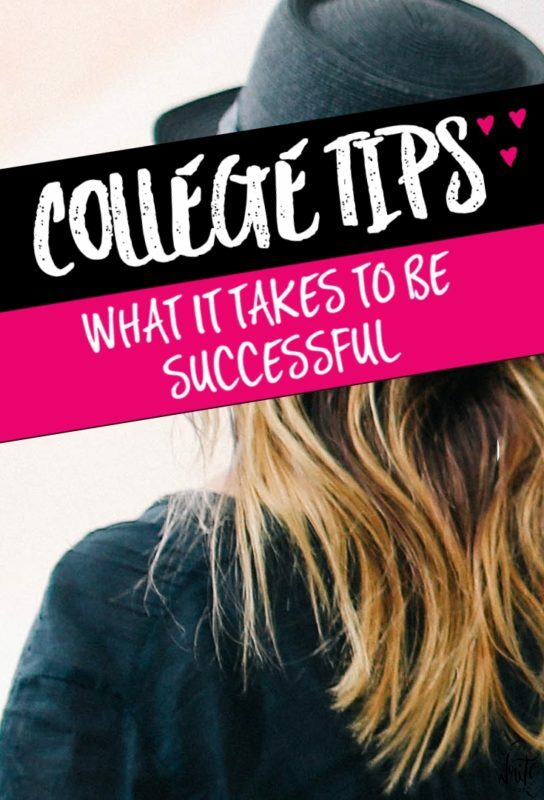 This will help make you a more successful college student because it holds you accountable to something and helps you to see tangible results. Have you ever been scared to dream big or to get outside of your comfort zone? There was a point during my freshman year in college that I refused to set anything but mediocre goals for myself. I didn’t have the best start to the semester and I pretty much just through in the towel after my first test scores came back. This was a big failure on my part and ended up impacting me, and not in a good way. Rather than pushing myself to do better during the rest of the semester, I decided that as long as I got average grades on the rest of my tests, then I would be fine. This would prevent me from getting stressed out and would save me the disappointment of not achieving higher grades. The problem with this mindset was that I was placing myself in the “average” category and not believing that I had the knowledge and skills necessary to do better than that. In return, I let myself down. You see, doing all of that actually left me feeling even worse because I knew I was capable of better. Even if I failed at getting higher than average grades, at least I would know that I tried. This was a valuable lesson for me and one that I truly believe every successful college student takes in and learns from. Don’t get stuck in “average” – Rise above it. 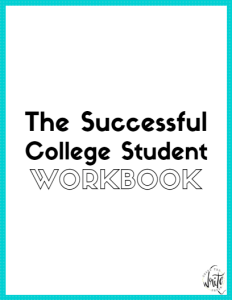 Get the Successful College Student Workbook if You Need Extra Help! If you’re ready to start being the successful college student that you were created to be, then I’ve got a workbook just for you! By helping you gain a better sense of awareness, this workbook will not only help you have better mornings, but more productive days overall. And you know what that means… Better grades! I’ve got all the details for you right here, so make sure you head on over and check it out. Love this article! Setting goals is pretty much the only thing that motivates me in college. There’s nothing like crossing something off your to-do list! 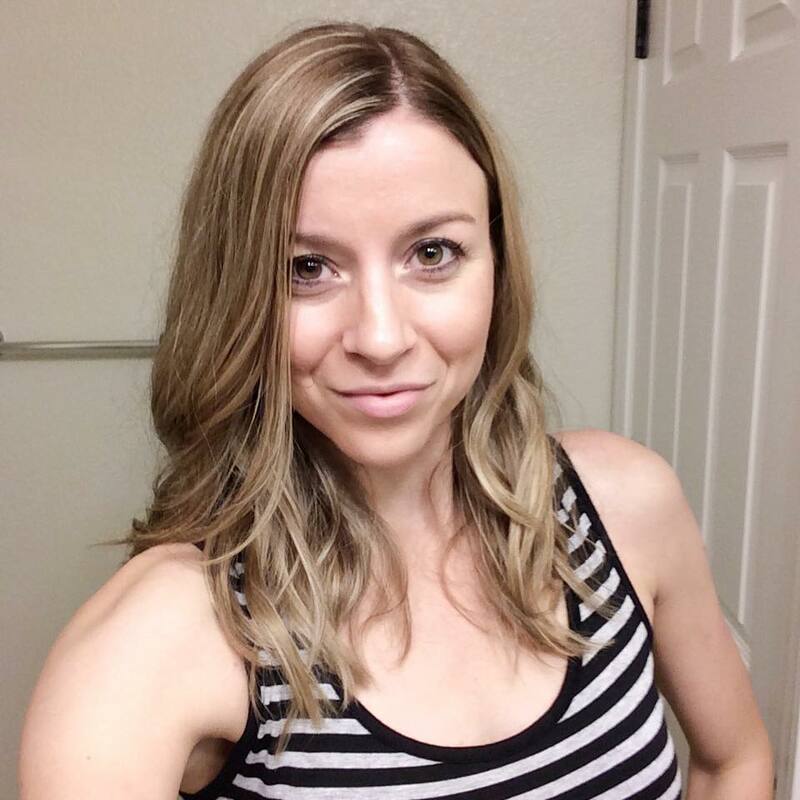 I love your ideas on building your self-esteem through bigger goals. Once you believe that you are above average, you start acting like it and then you see a true change!